Marvel’s dynamic duo are back together, and they’re ready to embrace their superhero side. Both Tandy and Tyrone channeled their inner sense of justice to take a stand against criminals in the city. 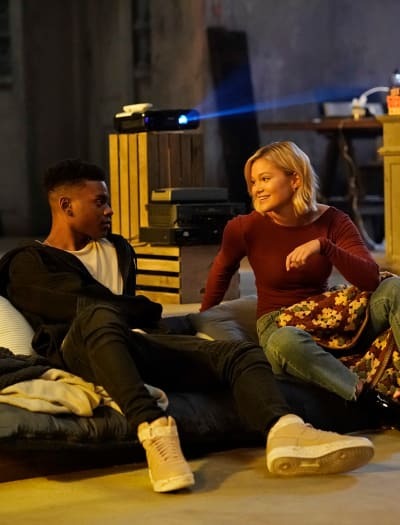 They jumped right in for both solo and team-up crime-fighting sessions during Cloak and Dagger Season 2 Episode 1 and Cloak and Dagger Season 2 Episode 2. Unfortunately, they’re still pretty green in the heroics department; they’ve got a lot to learn. But, if one life lesson became clear, it was that Tandy and Tyrone worked better together than separately. 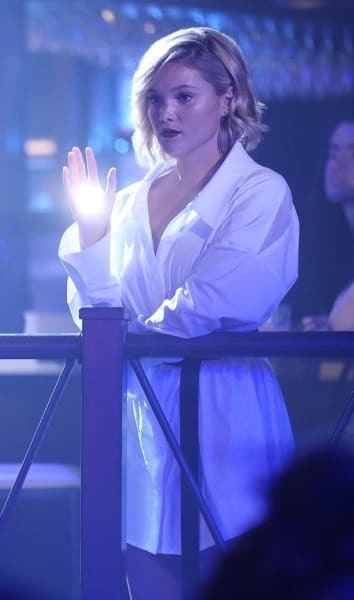 The Cloak and Dagger Season 2 premiere performed a balancing act with its shifting tones and styles between the two hours. Neither were new themes that we hadn’t experienced before. Highlighting the strength of Tandy and Tyrone’s friendship while also splitting their plots into separate POVs were two concepts that had been consistent plot points during Cloak and Dagger Season 1. In particular, “Restless Energy” focused on the former while “White Lines” stuck to the latter. Each has its strengths, like focusing on individual character development, exploring additional side stories, and fostering Tandy and Tyrone’s relationship. These two themes are essential for Cloak and Dagger’s spark. Tandy: Good. Okay, so what do we do now? Tyrone: I don’t know. I guess we just hang out until it’s over and I can collect the recorder. Tandy: Hang out? Are you saying that “Tyrone Johnson” is going to “hang out” at a drinking and dancing establishment with nothing to do but enjoy himself? Tyrone: You know I don’t drink. Tandy: Nah, that’s okay. I can drink for the both of us. Permalink: I can drink for the both of us. However, I preferred the first hour more than the second. You can’t deny Tandy and Tyrone’s connection. They work together so well that resisting to ship them is essentially futile! 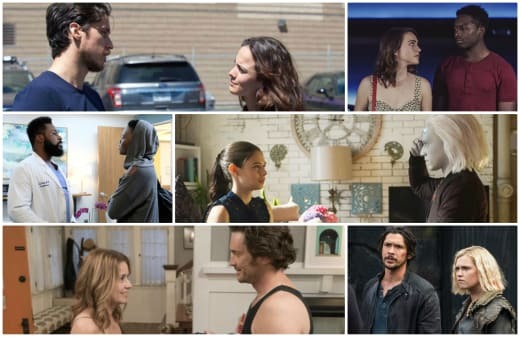 “Restless Energy” focused more on their friendship and connecting them further over their wants and aspirations. If there were any doubts that these two didn’t relate with one another, the premiere hour dispelled those concerns. We got treated to peak Tandy and Tyrone partnership moments. Sometimes that’s all you need. Tandy’s growth mainly stayed in the “fake-it-till-you-make-it” category. Major kudos to her for forgiving Melissa and getting back into ballet. She couldn’t dwell on that anger and internalized destruction forever; it would’ve eventually been her undoing. Now, she can move forward and channel her energy into her dream career. The problem, however, is that she hasn’t quite faced the inner hatred she has toward her father. Ever since she discovered her father was an abusive villain, Tandy hasn’t thought of him in the same way again. Nathan Bowen was the same man who drove her motivation to seek revenge on Roxxon. But now, he’s the baddie who pulled the wool over her eyes. That discovery shook her to the core. And the post-traumatic effect of that discovery manifested in that vision she experienced in the street with Andre. Either way, her character arc teased that she will have to face those inner demons. I’m excited to see how/if she overcomes it. Her need to fight crime also came as a fascinating development from that discovery. Tandy’s targets in her secret crime-fighting followed a specific archetype: petty criminals or domestic abusers. In a way, it seemed like she sought to defeat a new version of her father. Tyrone: Hey, what she do? The lady with the SUV? Tandy: It wasn’t her. It was her husband. It’s possible I’m not over my dad the way that I wish I was over my dad. Then I want to hurt someone. And since he’s not around, I’m trying to find other people who can stand to take on a little hurt. Tyrone: Yeah, I think I’m still working some stuff out too. Hitting these gangs, causing all this trouble ‘cause I’m angry. Tyrone: The world, I think. Permalink: It’s possible I’m not over my dad the way that I wish I was over my dad. It made sense since she couldn’t help her mother when she was younger, but now she could help people in need even if they didn’t know that she helped them. Tandy’s moves would right the wrongs of the past while also correcting the future for other people. This internal conflict and motivation might be why she became so emotionally invested in protecting Michayla from Jeremy. After everything she learned about her father, she knew the type of person Jeremy was. So, when her threatening message to Jeremy backfired, that feeling of failing Michayla drove her to desperation. She feared what the future entailed for Michayla, and she lashed out accordingly. Tandy’s residual hatred for Nathan influenced her involvement with Michayla/Jeremy, her interactions with Leah and Andre, and how she participated in the group. Look, Tandy has grown, and she cares about people, but she doesn’t get too involved in personal matters that aren’t her own. Her new mentality propelled her even further to “save” Michayla. Her heroism has started to form nicely. In Tyrone’s case, his heroics targetted criminals on a grander scale that affected all of New Orleans. The problem, however, was that he almost created a gang war because of it. He should’ve heeded Brigid’s advice right from the beginning. Stealing from the two most prominent drug groups would only cause nothing but trouble. Those criminals were going to lash out somehow to find their missing stash. And it’s not like Tyrone stole a little bit; those bags looked full of cash and drugs. Plus, if Tandy hadn’t shown up, Tyrone could’ve been killed when he got ambushed. He put himself into a dangerous situation without any back-up or an escape plan in mind. Tandy isn’t off the hook either; she put herself at risk too, regardless of her powers being for offense than defense. This lucky escape from the drug den should be a life lesson they take to heart for their superhero duties. They need to work together if they want to survive. There’s strength in numbers for a reason. And, with this deadly criminal who murdered the gang members with ease around, they can’t risk slipping up. Whereas Tandy focused on her inner demons, Tyrone’s plot development tackled his longing for connections and reclaiming what he lost. That came through when he observed his family from a distance and his reunion with Evita. Talk about an awkward meeting! Evita had every right to be mad at Tyrone for showing up out of the blue. 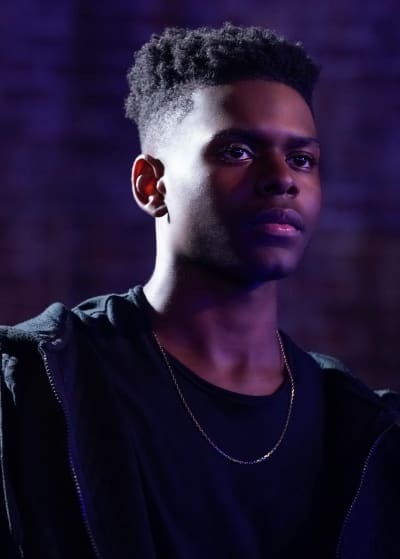 After the events of Cloak and Dagger Season 1 Episode 10, he simply disappeared. There were no messages or updates to soothe Evita’s worries. And adding to the fact that Tyrone went to see Chantelle and not Evita … he’s lucky she forgave him. All of these truth-bombs would be enough to put a nail in their coffin. But, who are we kidding, they love each other! Telling her the truth of his powers helped to repair that broken bridge. Sure, it caught her off-guard, but she couldn’t blame him for keeping that big of a secret to himself. A superhero has to protect their identity to protect their loved ones. [Tyrone teleports behind her]Evita: Did I just … did you just?? Tyrone: That’s what I can do. Evita: How did you? How long have you been able to do that? Tyrone: It all started around 6 or 7, but I got better at controlling it around when the city went crazy. Evita: So, like eight months ago? [Evita hits Tyrone]Evita: You serious! You telling me you could just do that this entire time and you didn’t think to come and tell me you were safe? Permalink: So, like eight months ago? 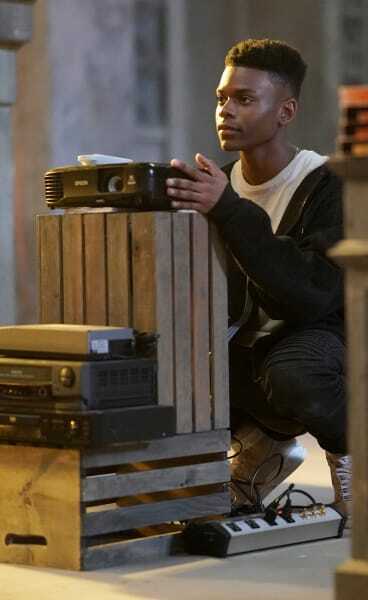 Through Tyrone’s story, Marvel’s Cloak and Dagger discussed new layers in the voodoo lore, as well as the mystic leaders who might influence the story. Nothing ever gets introduced that won’t play a significant part later. These markings and deities will most likely add to the chaos going on in New Orleans especially since people have been channeling them more frequently. Also, since one of the dead criminals drew a marking with cocaine on their final breath, with their blood hitting it, you know some powerful magic must’ve gotten called! I don’t know much of the figures discussed, but I had heard about Papa Legba before. He returned for American Horror Story Season 8, and he played more a nefarious individual who only worked for his best self-interest. We’ll have to see how Papa Legba’s and Mama Bridgitte’s symbols affect the plot going forward. Brigid has had a tough time since Fuchs’ death, and it’s slowly killing her from the way she internalized the pain. Instead of jumping back into work, she needed more time to grieve and work through the emotional/mental/physical pain of it all. Though, when “new Brigid” appeared, the red flags went up right away for what caused this sudden change in personality. After rising from the toxic swamp, the potential for after-effects seemed like a high possibility. I had guessed that this new attitude stemmed from a chemical change to Brigid’s psyche, almost like a “Dr. Jekyll and Mr. Hyde” type of scenario. The balance of her good and evil sides cause chaos on herself and the town. However, with two physical beings walking around New Orleans, this cliffhanger twist changes everything! Brigid 2: Pathetic. Look at yourself. Look at yourself! Just absolutely … pathetic. Brigid 1: Who are you? Brigid 2: I always knew that you were weak. Just a scared girl pretending to be brave; pretending to be the police. Well, you’ve had your chance. It’s my turn now. Permalink: Well, you’ve had your chance. It’s my turn now. This new Brigid took no prisoners with her confident attitude and her ability to kill people without remorse. In hindsight, she probably shouldn’t have killed the ambulance kidnapper since he might’ve known more about the kidnapped girls. Hopefully, both Cloak and Dagger save the victims in their next adventure. Beyond the Roxxon adventure, this could be their next good move for the people of New Orleans. Still, does this mean two Brigids will appear on screen or could this get attributed to her powers? We need answers! Marvel’s Cloak and Dagger has an incredible soundtrack! Many times throughout the premiere, I tried to Shazam as many tunes as I could. This show is the perfect inspiration for a Spotify playlist. The ballet and basketball scene was the perfect touch to show Tandy and Tyrone’s struggle between their lives and their powers. Even when they’re trying to get their mind off things, their abilities find a way to emerge. Tandy’s powers have grown exponentially. Could these light ball attacks become a frequent thing? I hated Jeremy. He had Michayla deep under his spell; she seemed so vacant and hollow during the group session when she planned to return to him. Tandy’s clapback for Jeremy put him in his place. Tandy and Tyrone being shocked at VHS tapes made me cringe. It feels like yesterday when I was watching Disney VHS tapes as a kid. Now, over to you, Cloak and Dagger fans! What did you think of “Restless Energy” and “White Lines”? Should we trust Brigid’s doppelganger? Will Tandy and Tyrone save the kidnapped girls? Who killed everyone in the gang meeting? 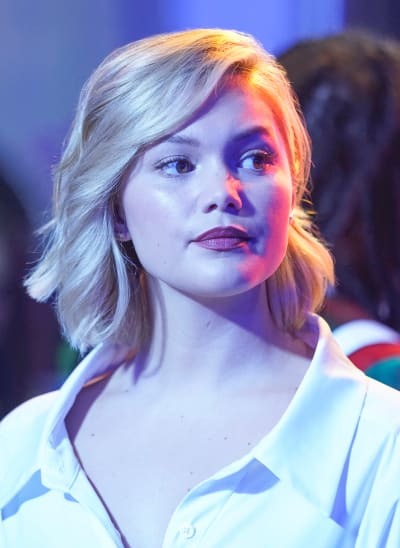 If you missed the latest episode of Cloak and Dagger, you can watch Cloak and Dagger online via TV Fanatic. Come back here and share your thoughts in the comments below.